A funny, dark humored but very thrilling and suspense driven series that is a chronicle of various murderous and deceptive tales in frozen Minnesota, all of which lead to a single origin Fargo. Where can you stream Fargo? On 2014-04-15 Crime/Drama TV Series Fargo first aired on FX. 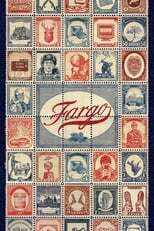 Written and created by Noah Hawley, and produced by 26 Keys Productions & Littlefield Company, Fargo will return and was last broadcasted on 2017-06-21.